Northampton Saints chairman John White is looking forward to seeing Saints' international stars back in the side today, and excited to celebrate a huge Club milestone for skipper Dylan Hartley. Hello and welcome once again to Franklin’s Gardens for another huge Gallagher Premiership match against Newcastle Falcons! Don’t let Newcastle’s position in the table fool you; with only seven points separating 5th and 12th place ahead of this weekend’s round of games, this is shaping up to be the tightest Premiership season in recent memory. 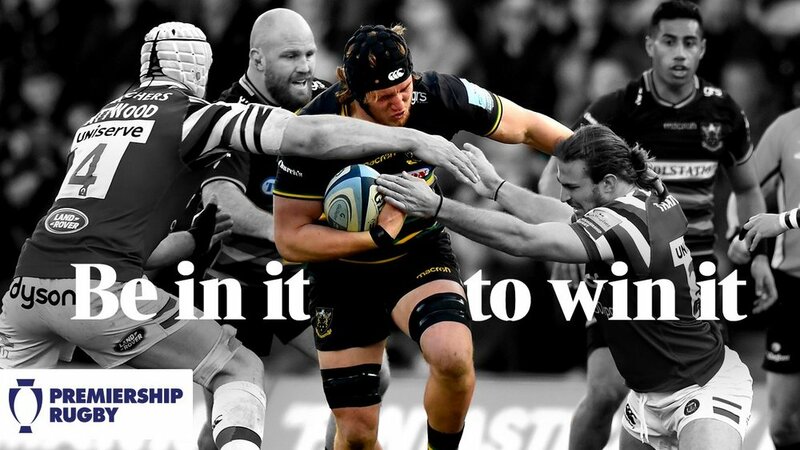 In the same round last season, the Falcons beat us in the last minute at Franklin’s Gardens and this could well be another arm wrestle here today. They are a dangerous opposition, but Chris Boyd’s side have shown superb resilience in the face of several tough fixtures and a number of injuries in recent weeks, and they have been working tirelessly over the last few days to deliver another thrilling performance on home soil for you all today. "It’s great to see so many of the Saints Academy being recognised at international level; it’s a very exciting time for these young men." 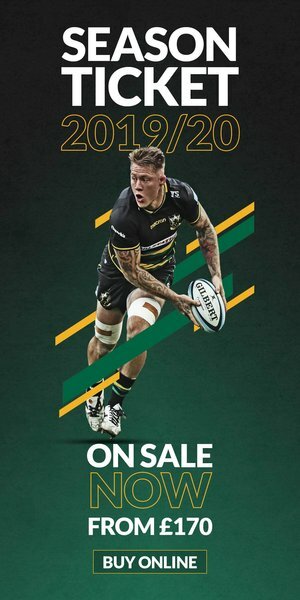 Today we welcome back a host of international stars back into the squad, who have all represented the Club with distinction over recent weeks – congratulations to Dylan Hartley, Courtney Lawes, Piers Francis, Dan Biggar and Ahsee Tuala for playing their part in the autumn series for their respective countries. Congratulations, also have to go to our young Saints; Fraser Dingwall, Ollie Sleightholme, Samson Ma’asi, and Alex Coles were all this week selected for the first England Under-20s development camp of the 2018/19 season. 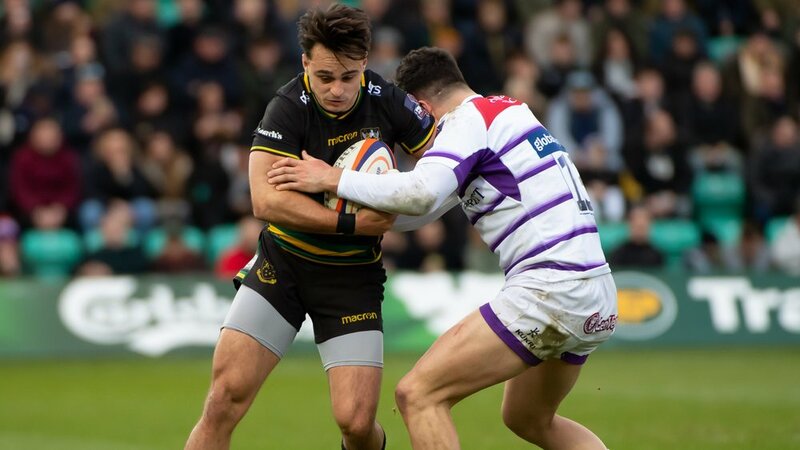 It’s great to see so many of the Saints Academy being recognised at international level, and with Franklin’s Gardens set to host the final match of England’s U20s Six Nations campaign, it’s a very exciting time for these young men. We were also delighted to this week add Fraser Dingwall to our list of players who have signed new contracts to remain with the Club for the foreseeable future, alongside Lewis Ludlam and Ehren Painter. 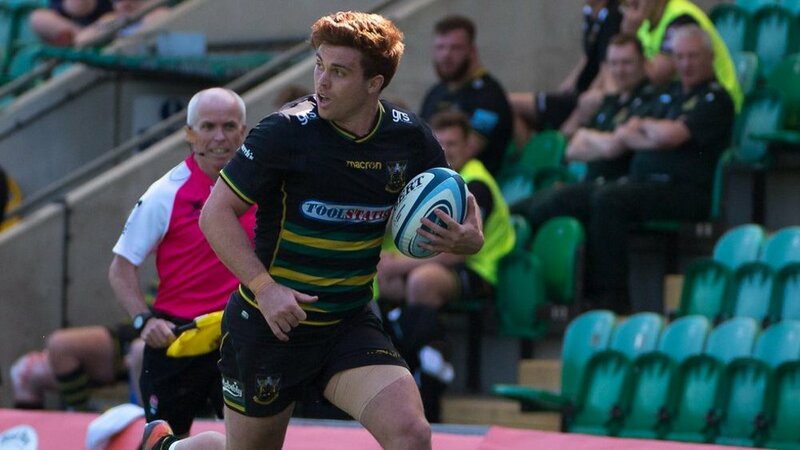 The Academy is thriving here in Northampton, and seeing so many of the next generation of Saints stars stepping up to the plate in the Premiership in recent weeks I know is a source of great personal pride for many of the Club’s supporters and staff. A big thanks must go to our Elite Partner, Travis Perkins, for their contributions to today’s match. We are always looking at new ways to introduce the next generation of supporters to the Northampton Saints family, and today’s ‘kids for a quid’ initiative will see plenty of young rugby followers come through the Franklin’s Gardens gates. TP are also once again behind the brilliant ‘Big Christmas Toy Collection’, with the aim of brightening the festive season for thousands of young people in care and in need across Northamptonshire. There are multiple drop-off points at the ground for the collection today, and don’t forget – if you haven’t managed to contribute a toy yet, you can leave donations at various TP branches around Northamptonshire. Please visit the Club’s website for more information! Last, but by no means least, I wanted to mention two very special milestones we are celebrating today. Club captain Dylan Hartley will be making his 250th Saints appearance, and it’s clear to everyone associated with Saints what an incredible servant he has been to this Club since his arrival 13 years ago. It’s safe to say that Franklin’s Gardens would not be the same without him. "It’s safe to say that Franklin’s Gardens would not be the same without Dylan." Secondly, one of our Club photographers, Claire Jones, reached an astonishing 350 matches following Saints earlier this season away at Dragons in the Challenge Cup. Today, she will be honoured at half-time with a special shirt presentation in what co-incidentally is also her 200th consecutive match – with her current streak beginning with 2013’s Heineken Cup fixture against Castres. Everyone at the Club is incredibly grateful for everything Claire does on a matchday and beyond. People like Claire make Northampton Saints the club that it is, and here’s hoping she carries on towards many more milestones in the future. The atmosphere and the noise that rang around the Gardens during our last home match against Wasps was undeniably the best it has been all season. I know the entire squad will be counting on you all to sing them to victory once again this afternoon – this is a big match as we look to push up this congested table. Enjoy the game, and come on you Saints!